Former French President Nicolas Sarkozy attends newly named member of the Constitutional Council Dominique Lottin's oath-taking ceremony at the Elysee Palace in Paris, Nov. 6, 2017. Sarkozy was placed in custody on Tuesday as part of an investigation that he received millions of euros in illegal financing from the regime of the late Libyan leader Moammar Gadhafi. PARIS — Former French president Nicolas Sarkozy was taken into police custody early Tuesday over allegations that he illegally accepted $68.5 million from the government of the late Libyan leader Moammar Gadhafi to finance his successful 2007 presidential campaign. The detention of Sarkozy — France’s president between 2007 and 2012 — represented a major development in what is now likely to become an explosive political scandal. For years, Sarkozy denied allegations that he took money from Gadhafi, and Tuesday marked the first time that authorities have questioned the former president. If the allegations are true, it would mean that Sarkozy knowingly violated France’s campaign finance laws, which in 2007 capped campaign funding at $28.8 million. Under French law, authorities can hold a suspect in custody for up to 48 hours, at which point they can decide whether there are sufficient grounds to launch a formal investigation. The case against the former center-right president has been brewing for years. In 2012, Mediapart, a French investigative news outlet, published a report suggesting that Sarkozy’s campaign had taken more than $60 million from Gadhafi’s government. In November 2016, Ziad Takieddine, a French-Lebanese millionaire, claimed that he had personally overseen the cash transfer of $6.3 million from Libya to Sarkozy’s entourage in 2006, when Sarkozy was France’s interior minister. Takieddine said he delivered the money to Claude Gueant, Sarkozy’s chief of staff. In January, Alexandre Djouhri, a French businessman and former Sarkozy associate, was arrested at London’s Heathrow Airport in connection with the probe but was released on bail. The Libya probe adds detail to what was known to be a complicated relationship between Sarkozy and Gadhafi. After his victory in 2007, Sarkozy welcomed Gadhafi to France for a state visit. But by 2011, Sarkozy had established France as a leading player in the NATO coalition that ultimately topped Gadhafi’s regime. 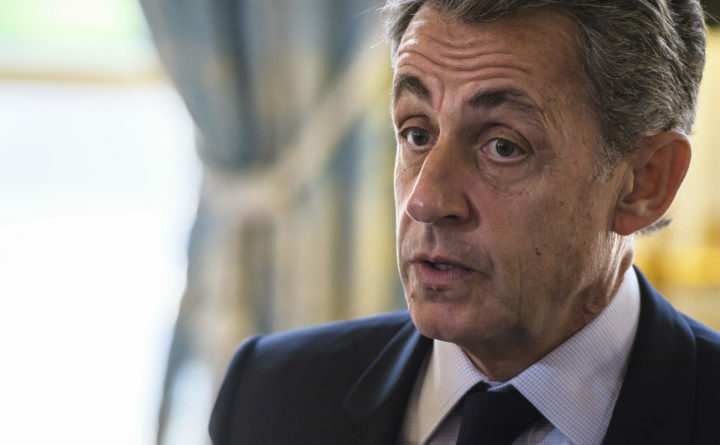 The latest allegations only intensify public scrutiny of Sarkozy, who is already set to stand trial in a separate case concerning allegations that his unsuccessful 2012 re-election campaign also received illegal funding. Sarkozy has denied those accusations, too. Sarkozy would not be France’s first former head of state to face a conviction after leaving office. In 2011, Jacques Chirac, Sarkozy’s immediate predecessor who also led the center-right party, was given a suspended sentence of two years for the misuse of public funds, although the conviction pertained to activities dating to his tenure as mayor of Paris, not to his presidency.